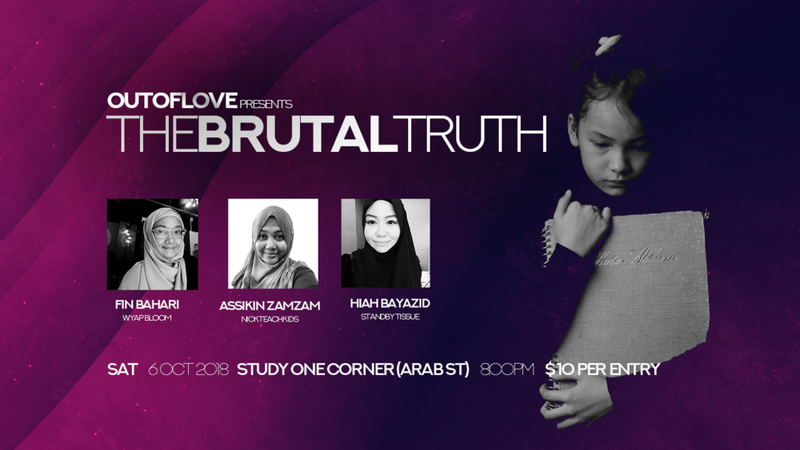 ﻿OOL is proud to present ‘The Brutal Truth’! In this talk show, get ready to be motivated by 3 ladies who are founders of their own movement and company. Like every other mothers,they too have setbacks. But what makes them standout is their courage to continue to live life at their fullest and achieving their goals. In this talk show, you will get to find out how they cope with their challenges in life, and how they turn heads by being the best version of themselves. This is a talkshow not to be miss and it is open to everyone of all ages and especially to those who are in dire need of inspiration! 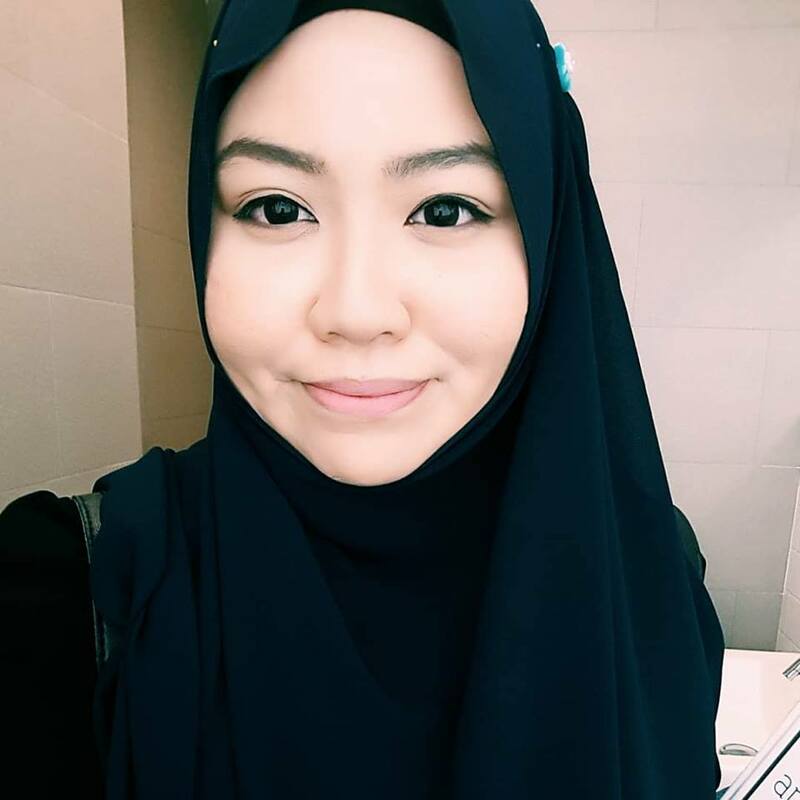 ﻿Assikin Zamzam is the founder of Nikteachkids, who has 13 years of teaching experience. She started her company 2 years ago with a dream to provide for young children with enrichment focusing on Early Literacy and discovery of the world through Arts & Science. She is also a mother of 2 who struggles through her own challenges in life in balancing work and family. She faces many negativity throughout her journey in Nikteachkids however it didn’t stop her from going towards her goals and passion. She used her experience to inspire many teachers to go beyond than just being an average educator as she believes that every child is different and special in their own ways. She also provides courses for parents on techniques of teaching their children at home and also on dealing with the difficulty in coping with the child behaviors. Get to know this incredible teacher, who have pushed many judgement and stigma in changing lives through one children at a time! 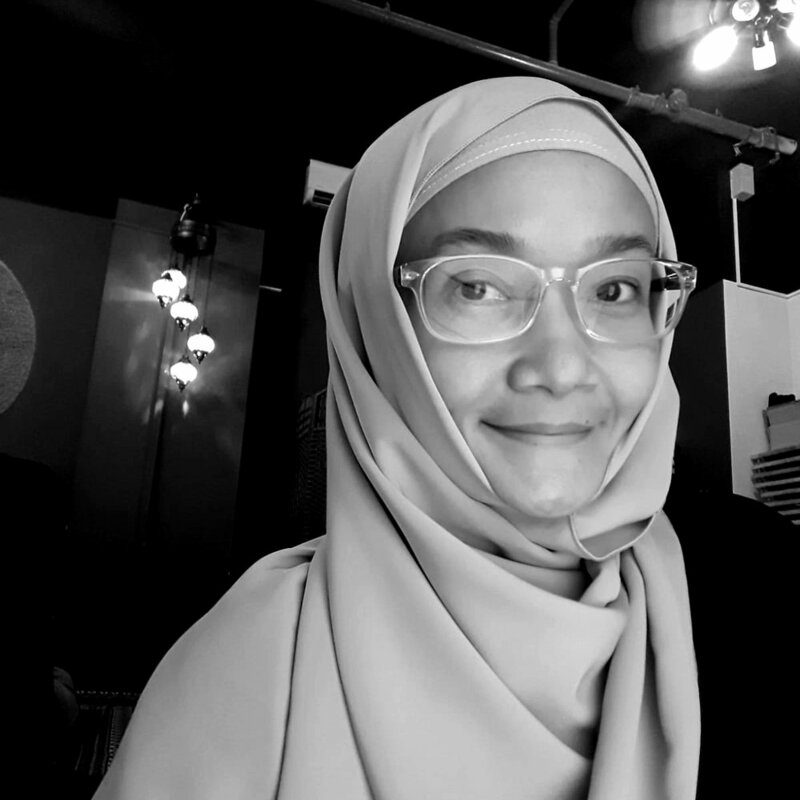 Hiah Bayazid is an aspire writer, an entrepreneur and a motivational speaker who uses her past experience in life by creating a movement called “Standby Tissue”. She is a single mother of 4 who survived an abusive marriage at the age of 21. At her lowest point of her life, she battles through depression and suicidal thoughts but made it through with the help of her friends and family. Now 27, her dream is to inspire many and motivate women all over the world to achieve their dreams. She have spoken at multiple mosques as a motivational speaker to the youth,she writes to inspire women on social medias and she organised her own events to create learning opportunities for everyone in coping with their own challenges in life. Fin Bahari is an inspiring housewife who have 2 children that she gave birth prematurely. Her first pregnancy was born premature at 35 weeks. But her real challenge only sets in when her son was diagnosed with dyslexia. She have to go through many unfamiliarity and educate herself on dyslexia. As she faces many ignorant comments that was being made to her and her son, she stand strong and deal with it heads on. 16 years later when she thought that she was done with being pregnant,life turned her around and gave her a beautiful baby girl who is born prematurely at 28 weeks. During this pregnancy she have many setbacks as her health takes a toll on her and the baby. Get to know this strong NICU mother who have persevered and pushed through boundaries. And despite all this she stayed calm and collected throughout her whole life turning experience. How did she do it? Get ready to be motivated through her life stories! We would like to thank everyone for coming to this event! To those who missed this event, check out our upcoming events!